Here I go again, trying to encourage you to release those things that weigh you down. Here are some thoughts and planning tips for releasing things that weigh you down. If you were to drive through my neighborhood right now (2011) you’d see a lot of rented bins that people have delivered in the front of their house when their getting rid of things. Recently, in my town, a lady had a great idea and mailed out flyers to all of the people who live in our town about having a community garage sale. 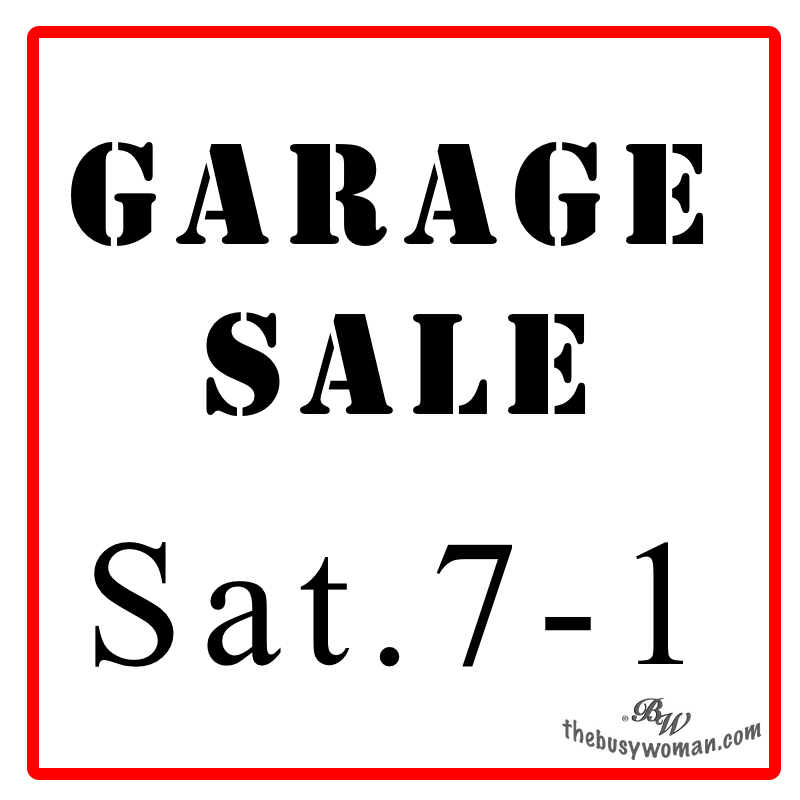 A few weeks later I counted at least 10 garage sales while driving through the neighborhood. The following days I saw rented bins all around the neighborhood. This is what I do at least 2 times a year, if not more often. And this time I’m getting ready to get rid of many things I’m attached to. I’ve been really good about doing this before but I think there is more I can part with. So I promised myself that I will get rid of things I haven’t looked at in the last 2 years. I know, it’s supposed to be 1 year, but baby steps. 1. Make a calm environment for yourself to plan the project. 2. Get out your planner and start writing on your project planning pages. 3. Break it down into baby steps by only planning a little bit for each session. 4. Once you take that first leap of planning it all out, don’t look at the project as a whole again, but rather as small baby steps. How does a baby learn to walk, one step at a time. Before they know it they’re toddling around without thinking about each individual step. Write each step down on a scratch paper. Put them in order. Then transfer them to your Goal Project Planning Page. That’s how it works with projects. If you can just make it through the first and hardest part — the planning, the rest will flow. Worst case scenario, hire a professional organizer to get you started and lay the groundwork. In many cases, once you get started on a project you’ll know what you can and can’t handle. Some days you’ll work for 15 minutes and that will be enough. Some days you won’t want to stop for hours. If you need a pep talk, join our Facebook Fanpage. There are awesome women there who love to nurture and support.